Happy Friday, folks! 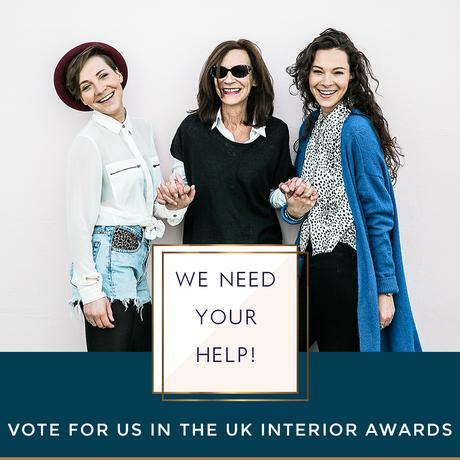 I’m very excited to announce that we have been nominated in The UK Interior Awards for ‘Best Independent Store’. Whoop! What an accolade that would be, eh?! The first round is based on voting, so if you love what we do, we’d be incredibly grateful if you voted for us. We’re up against some huge companies and it really would mean the world to us. In the category ‘Best Independent Store’, simply select ‘Audenza’ from the dropdown menu. Thank you so much! Have a fabulous week.